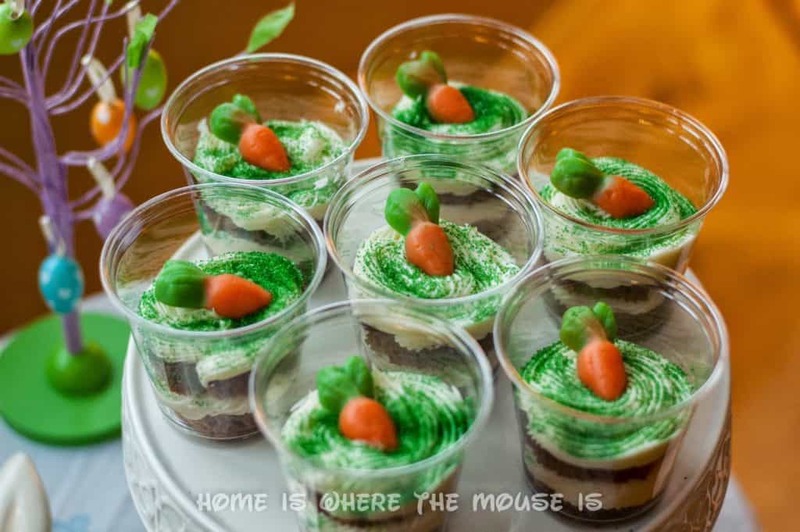 A new food phenomenon has arrived at Disney Parks: Gourmet Cake Cups. 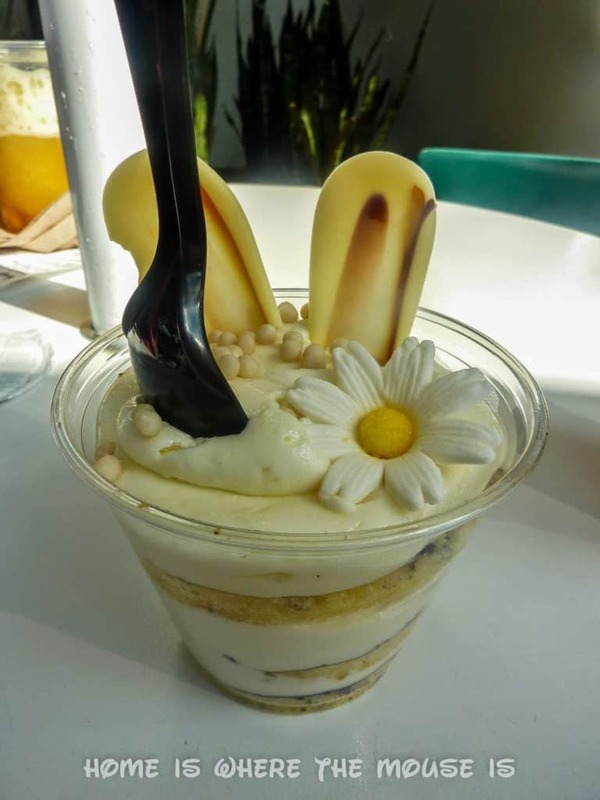 These sweet treats can be found in the Magic Kingdom at the Cheshire Cafe. 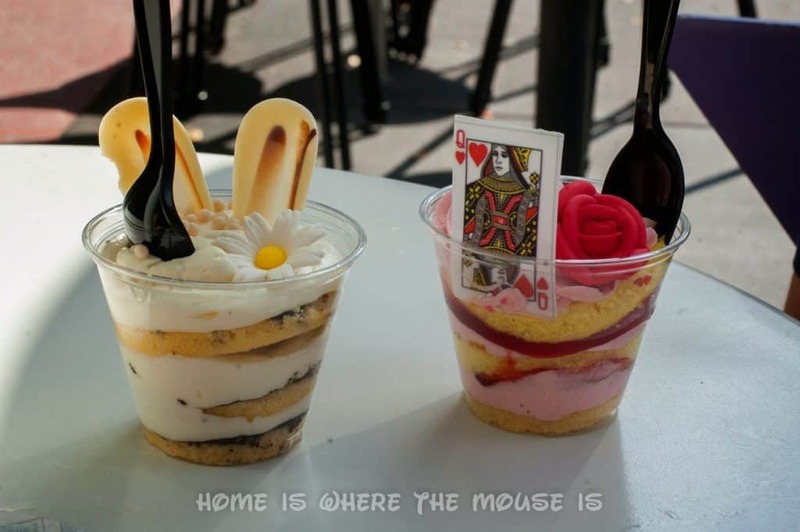 We recently had the opportunity to sample the two latest cake cups creations: White Chocolate Rabbit and Queen of Hearts Strawberry Shortcake. 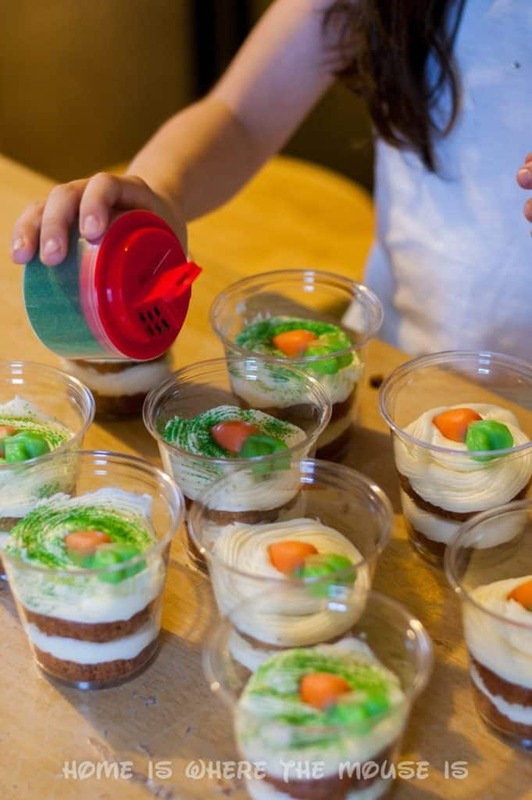 They inspired us to create our own cake cups for Easter! If you are a frosting lover then these are definitely for you! They are more frosting than cake. Unfortunately, I am more of a cake than frosting girl, so I was disappointed. For me, the uber-sweetness of the frosting over took the whole dessert. 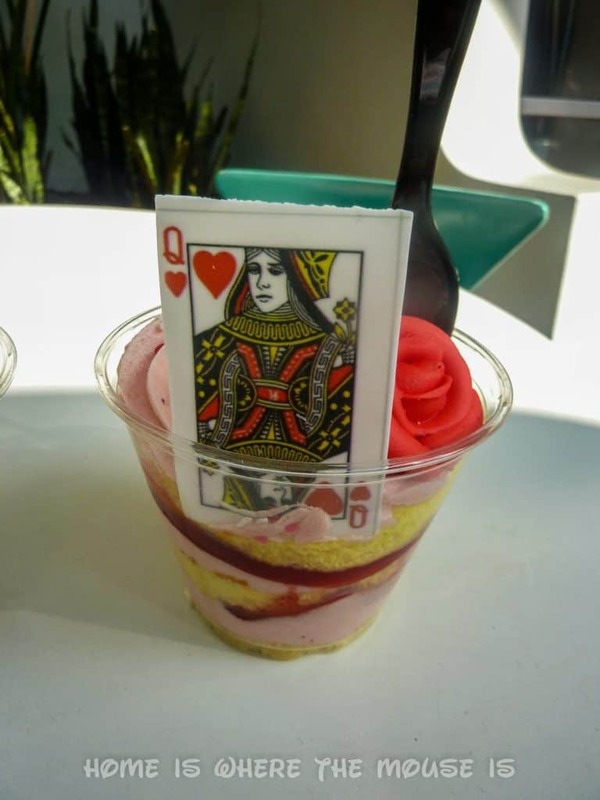 I had the Queen of Hearts which thankfully had some strawberry filling that allowed my tongue to take a break from the frosting. The first thing I said was I have to find a way to recreate this at home in a way that I’ll enjoy. Since Easter is right around the corner, I thought I would do an Easter spin on these cake cups. 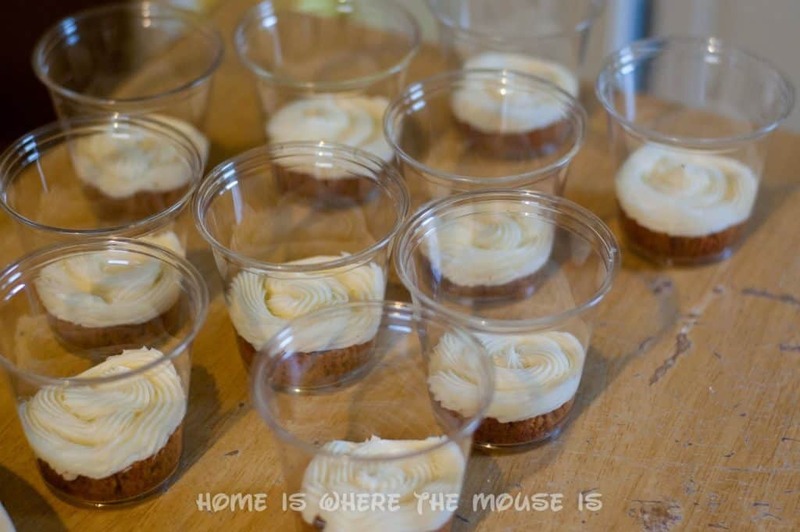 Inspired by Rabbit from Winnie the Pooh, I decided to make a carrot cupcake cake cup with lemon cream cheese frosting. While I waited for them to cool, I made the frosting. Once they cooled, I cut them in half across the middle. I placed the frosting in a piping bag and we were ready to assemble. 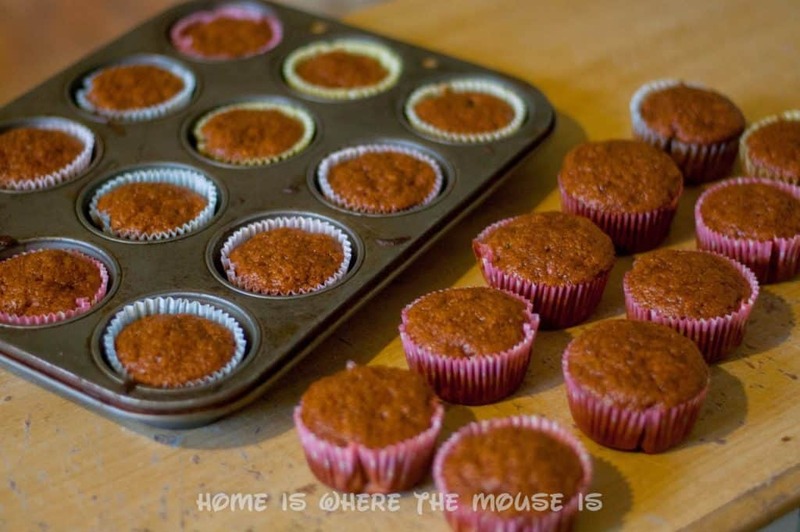 Place a cupcake bottom at the bottom of the cup. You can use any kind of cup, but clear cups work great because they allow you to see the layers. Pipe some frosting to cover the top of the cake. Place a cupcake top on top of the frosting. Pipe more frosting on top. The amount of frosting is totally up to you. 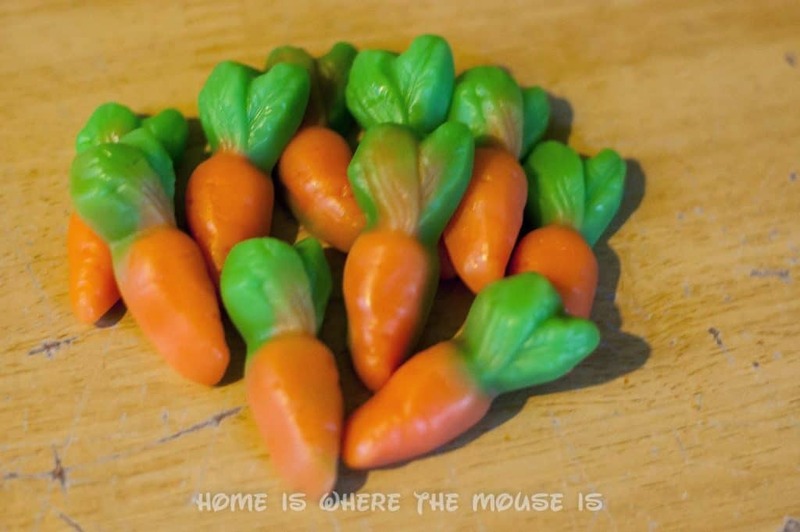 To garnish we used gummy carrots we found at the dollar store and then topped them off with green sugar crystals. 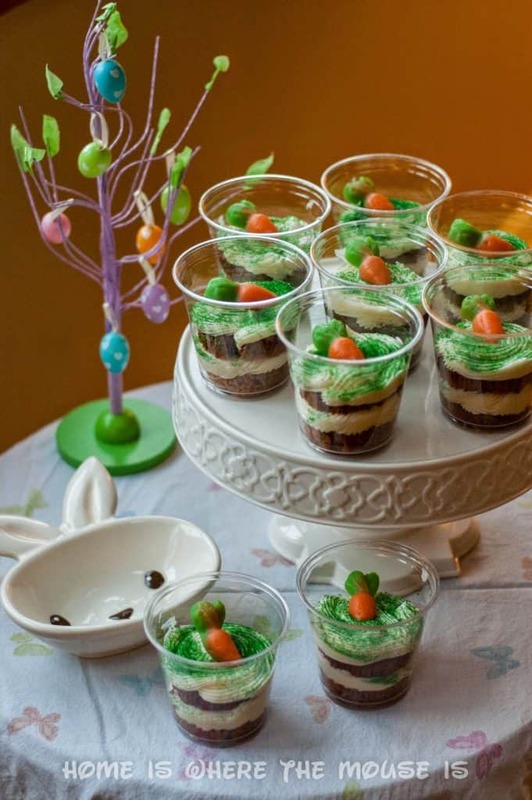 These cake cups are the perfect treat for any Easter party or dinner. I can’t wait to try more cake cup flavors at home. 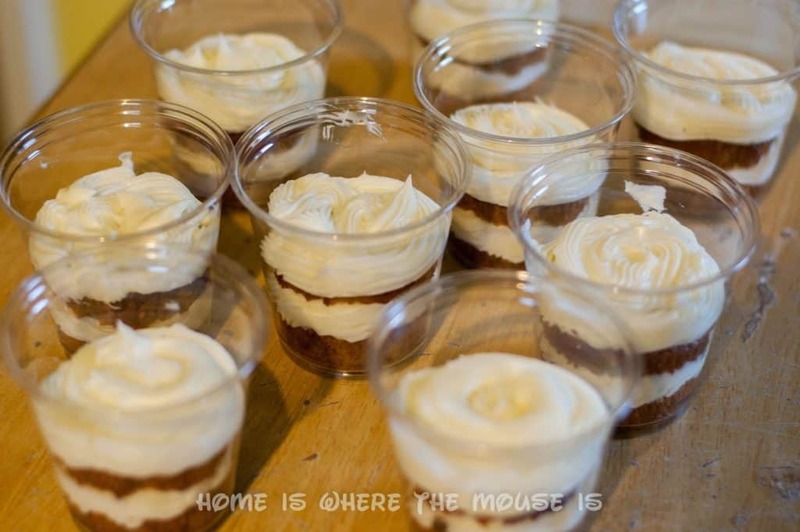 What flavor or flavors would you create in your cake cups? Awesome!! I am a frosting girl – but there is such a thing as too much. 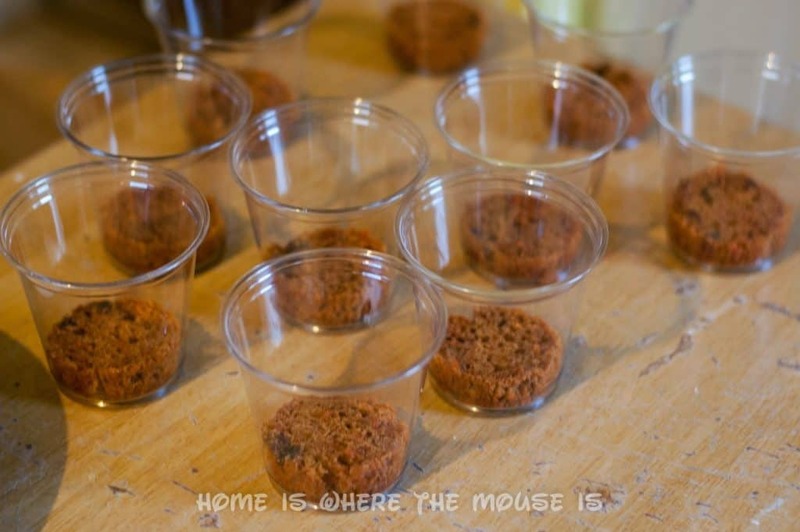 I love the presentation in the cup and they would should be a lot neater than traditional cupcakes for kids. Wow…all of them look good. 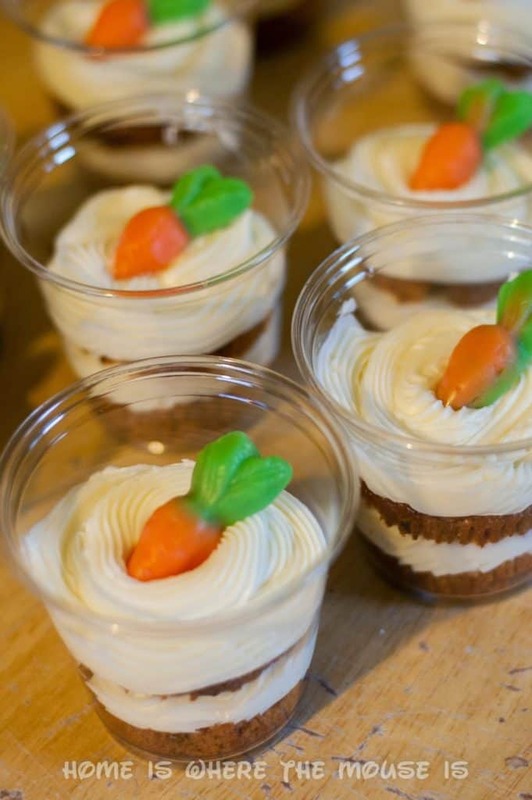 I'd change the original cake cups by using a whipped cream based frosting – not as sweet as the old fashioned buttercream. The possibilities of flavors for this are endless! Great job in re-creating them at hom. I prefer cake to icing too, so I'm sure I would have been right there with you! 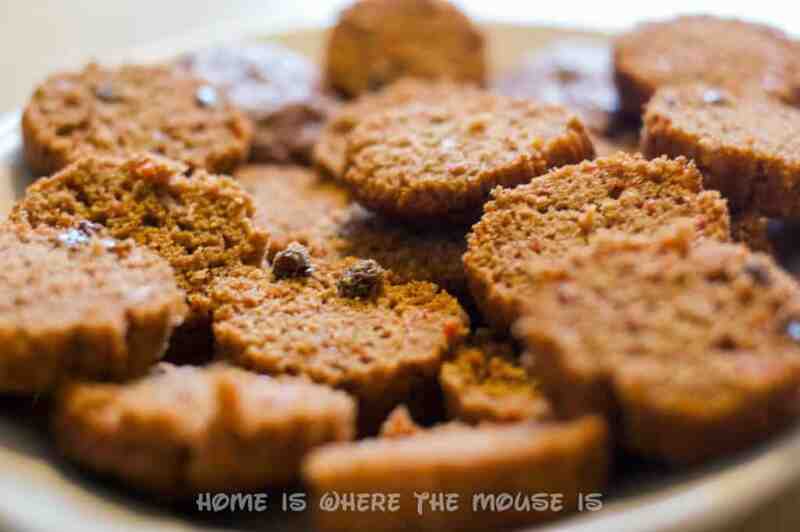 I love your take on it – so adorable and I bet they are yummy too! 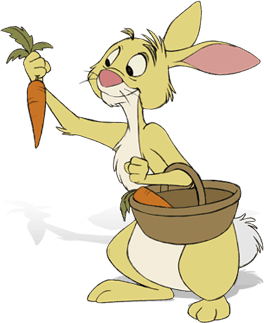 I may have to make these for Easter. 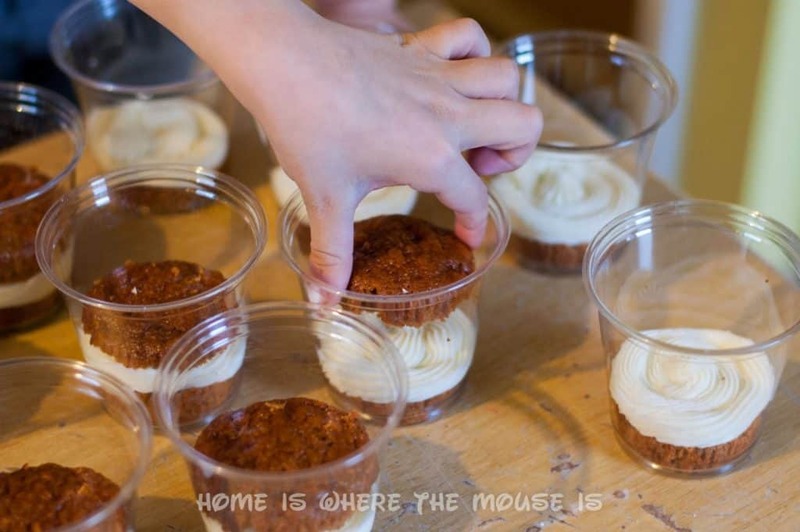 I can't wait to try the cake cups on my next trip, especially now that they have the 2 new ones. There used to be something similar at BabyCakes that I really liked. Your at home version looks yummy too. These are awesome. Thank you for sharing. I have pinned these for future reference.